Fantastic mountain views from this comfortable home in sunny West Vail. The home is conveniently located and is easily accessible to all of the attractions in Vail, but also in Beaver Creek and Arrowhead. Your home away from home is three blocks to the strip mall where there are restaurants, grocery stores, gas stations, fast food, hardware and sporting goods stores. A Wal-Mart Super Store and Home Depot are just two exits West on I-70. This is especially important for families who need to buy groceries or maybe a new parka for a child who has outgrown their old one. *Master Bedroom with King size bed and separate bathroom/shower. *Second Bedroom with two full size beds and shared full bath. *Third Bedroom with one queen bed and shared full bath. 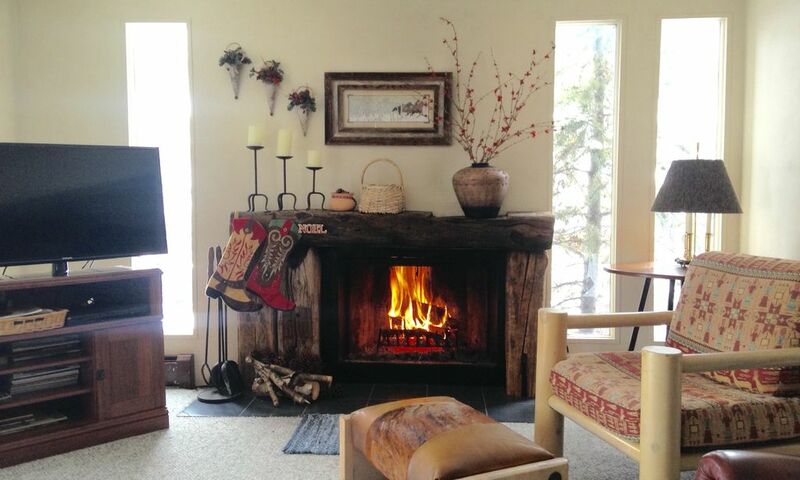 *Living Room with fireplace and fantastic view of Vail Valley and Gore Mountain Range. Grew up in Denver. Graduated from Cherry Creek High School in 1971. Colorado State alumn. Enjoyed our stay with our family for our annual Spring Break ski trip. Very comfortable accommodations for 5 adults (our children our now young adults!). Thank you for sharing your home with us! great location, good size property, comfortable for large families/groups. Owner/Host was great. Not much more to say past the title, other than the property could use some updating in terms of decor, appliances, etc. But it was clean, perfect location (roughly halfway between Vail and Beaver Creek, quite convenient to both), close to restaurants, shopping, and in a beautiful neighborhood. It was perfect for skiing, and I expect it would be beautiful for hiking, etc. in the summer. We had a great stay here! Perfect for our family of 4 and still plenty of room if additional people wanted to stay! Thank you Karla for the kind review. Happy to hear your family shared a wonderful time together. A very homey and roomy condo; our family of 5 thoroughly enjoyed our stay in West Vail. Convenient location, just off I-70. Just bring your warm winter clothes and food, and you are all set to go. So much to do nearby: skiing, tubing, snowshoeing, hiking, snowmobiling, shopping, restaurants galore. Thanks Karen! Hope you can visit Vail again soon! Bill was great to interact with! The duplex was a great size and everything was true to the description! I will definitely be saving Bill's contact information for any future stays! We (my husband, my brother, and his two kids - ages 10 and 13) stayed in Bill's place for a weeklong ski vacation. It has plenty of room. We cooked in almost every night and packed lunches for the day. I hurt my knee our first day of skiing and ended up staying home all but the last day and can honestly say that it's a nice place to hang out in. The location is convenient as other reviewers described - access to Vail bus stop with easy parking and to grocery stores. My only complaint is that the kitchen is dark and needs more light over the work areas. (Also, the bunk bed listed and shown in the hallway alcove is no longer there. We didn't need it, but if someone was counting on that extra sleeping space, they would be disappointed.) Bill was easy to communicate with, answering all my questions and providing advice about transportation. We would definitely stay here again!